Who doesn’t love a slouchy boyfriend tee? Inspired by a vintage Nudie’s Rodeo Tailors advertisement, this hand drawn graphic is printed on a vintage black boyfriend tee. 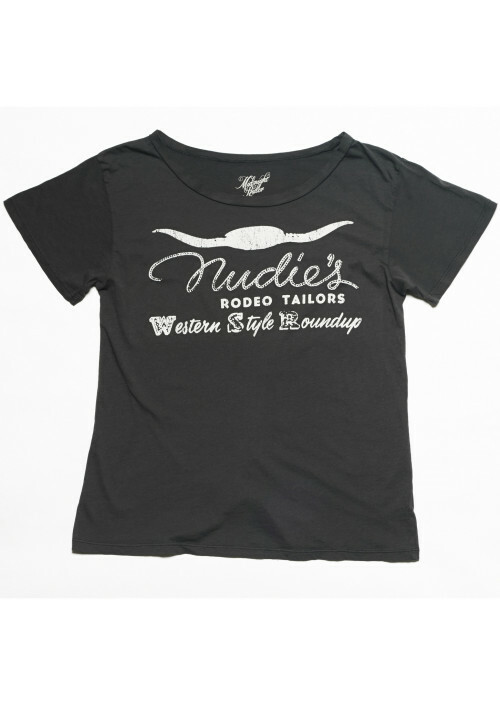 Exclusively licensed to Midnight Rider by the Nudie’s Rodeo Tailors Estate and 100% made in the USA.